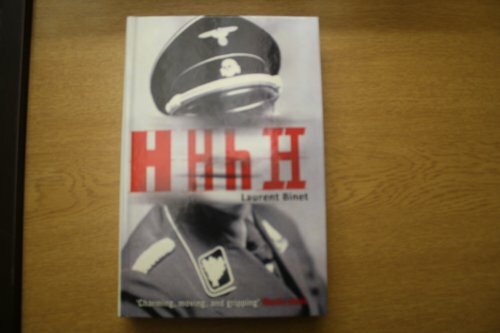 HHhH: "Himmlers Hirn heisst Heydrich," or "Himmler's brain is called Heydrich." The most dangerous man in Hitler's cabinet, Reinhard Heydrich was known as the "Butcher of Prague." He was feared by all and loathed by most. With his cold Aryan features and implacable cruelty, Heydrich seemed indestructibleâuntil two men, a Slovak and a Czech recruited by the British secret serviceâkilled him in broad daylight on a bustling street in Prague, and thus changed the course of History.Who were these men, arguably two of the most discreet heroes of the twentieth century? 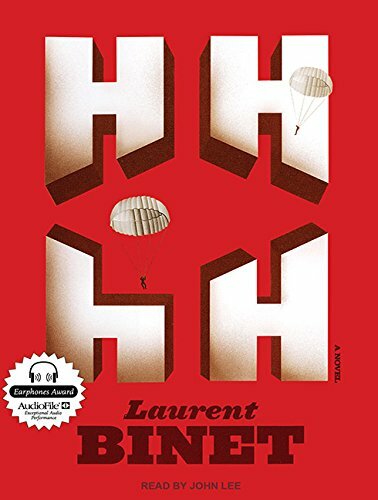 In Laurent Binet's captivating debut novel, we follow Jozef Gabcik and Jan KubiÅ¡ from their dramatic escape of Nazi-occupied Czechoslovakia to England; from their recruitment to their harrowing parachute drop into a war zone, from their stealth attack on Heydrich's car to their own brutal death in the basement of a Prague church.A seemingly effortlessly blend of historical truth, personal memory, and Laurent Binet's remarkable imagination, HHhHâan international bestseller and winner of the prestigious Prix Goncourt du Premier Romanâis a work at once thrilling and intellectually engrossing, a fast-paced novel of the Second World War that is also a profound meditation on the nature of writing and the debt we owe to history. 9781452659084 | Mp3 una edition (Tantor Media Inc, August 13, 2012), cover price $29.99 | About this edition: HHhH: "Himmlers Hirn heisst Heydrich," or "Himmler's brain is called Heydrich. 9781452639086 | Unabridged edition (Tantor Media Inc, August 13, 2012), cover price $83.99 | About this edition: HHhH: "Himmlers Hirn heisst Heydrich," or "Himmler's brain is called Heydrich.